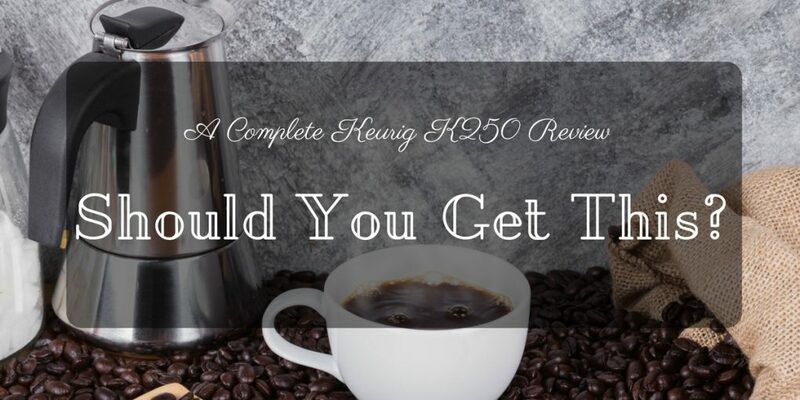 →A Complete Keurig K250 Review: Should You Get This? If you are currently seeking for a new coffee maker for your office or home, I’m sure you must have stumbled upon the brand Keurig. Keurig offers a fine selection of coffee makers that you can certainly rely on to create a perfect cup of coffee every single day. One ﻿Keurig coffee maker﻿ that I have always found to be a reliable machine is the K250. The K250 possesses a set of interesting features and a really handy design. 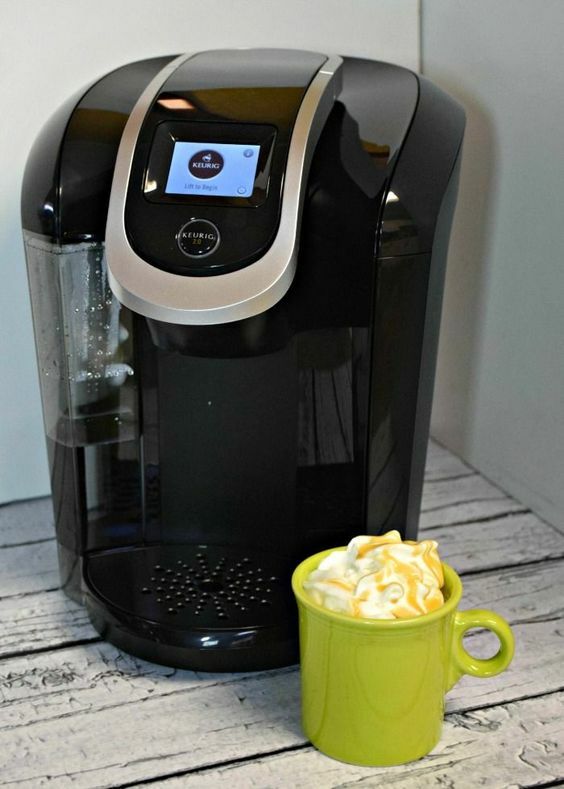 Read on to learn all the stuff you need to know about this coffee maker in this Keurig K250 Review. Hopefully, by the end of this article, you will have enough knowledge about this product to make a sound decision if you should get it or not. Coffee makers come in all sorts of shapes and sizes. Some coffee makers can easily fit the corner of your kitchen counter, while some would require a large space to accommodate their large capacity water reservoirs. 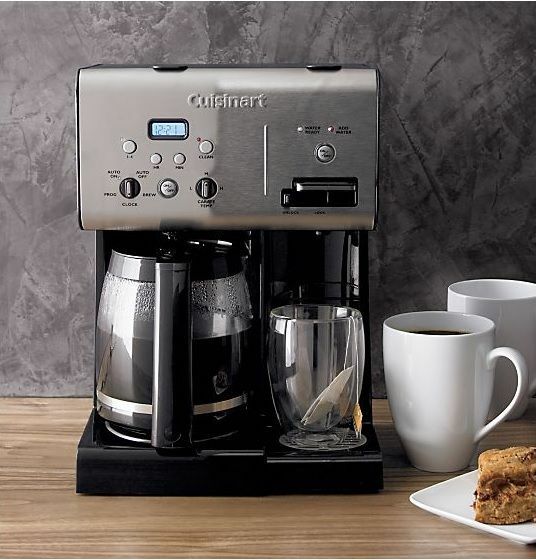 Coffee makers can include a number of useful functions and features that can significantly help you make coffee quicker and easier. Try to choose a coffee maker that comes with handy indicators that can communicate to you what’s currently going on. You’d be surprised as to how handy a simple light indicator can be. ​If you often make coffee for a group or people, you ought to look for a coffee maker that’s compatible with a carafe. Carafes allow you to get and serve a couple cups of coffee from one brewing. Another feature that you might want to look out for if you constantly serve coffee to a large number of people is the water reservoir capacity. 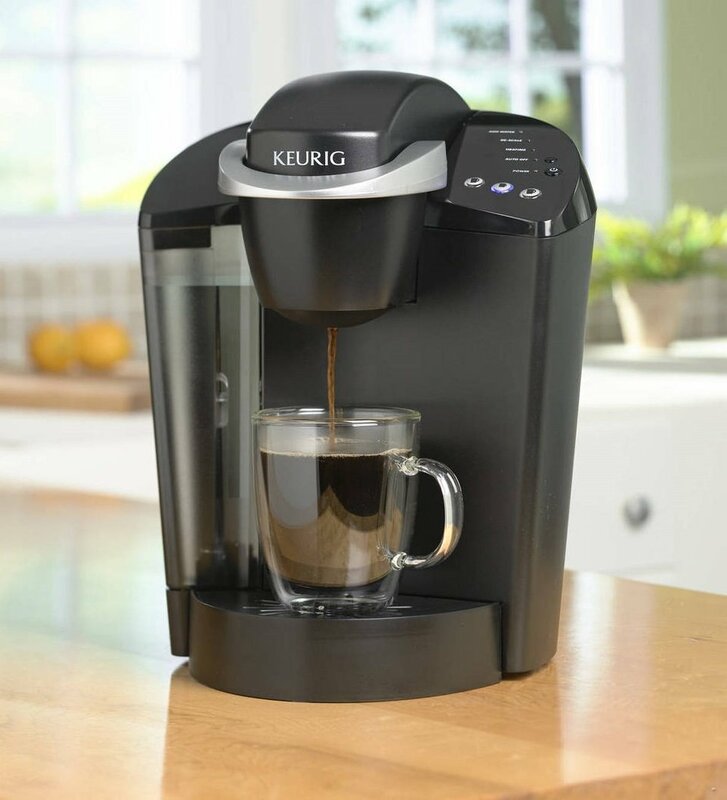 Upon receiving the Keurig K250, you will be able to get the Keurig K250 coffee maker, a descaling solution, a brewer maintenance piece, a water filter that comes with a pair of charcoal pods, and about 26 K-cups to get you started with brewing coffee. 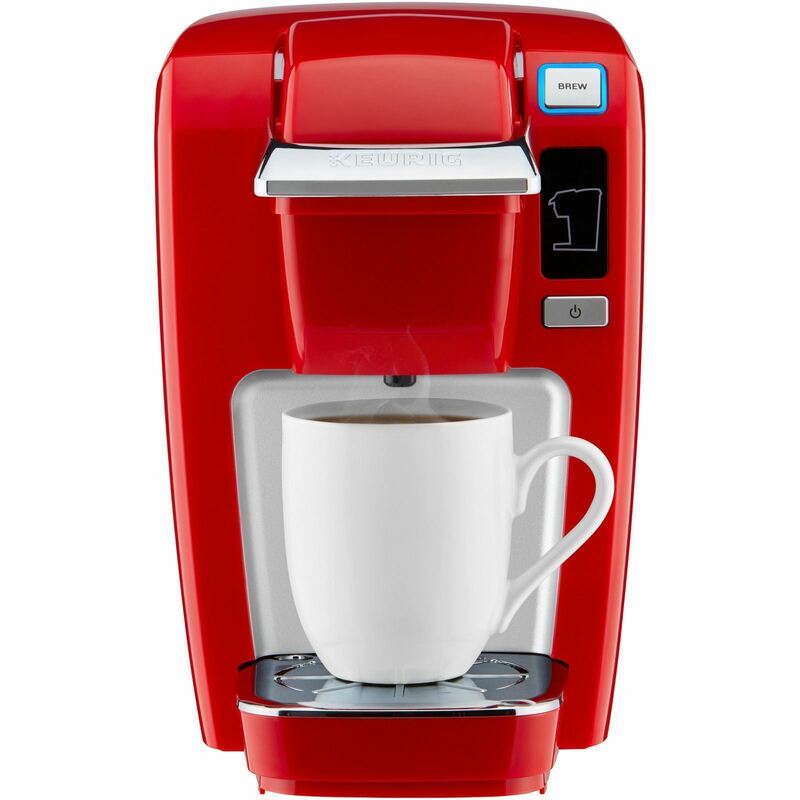 What’s great about the Keurig K250 is that despite having a completely compact design that can fit pretty much any countertop, it still comes with a large 40-ounce water reservoir capacity that can help you brew coffee in large amounts. Another great thing about the Keurig K250 is that it comes in an assortment of colors including Orange, Black, Zest, Strawberry, Sandy Pearl, White, Turquoise, and Violet. 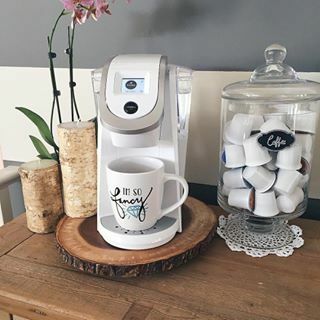 As for the features, this Keurig coffee maker has a very interesting set that includes a 2-inch touchscreen display, a strength control setting, and the capability to brew over 400 varieties of coffee from 60 well-known brands. Lastly, this coffee maker is completely compatible with the K-Carafe, making it ideal for preparing large amounts of coffee with just a single brew. The K250 comes with a very legible 2-inch touchscreen display that comes with a user-friendly interface. You can easily use it to navigate the coffee maker’s functions even when it’s your first time using it. Being compatible with a K-Carafe can help you go a really long way especially when it comes to serving at least 5 cups of coffee from a single brewing. 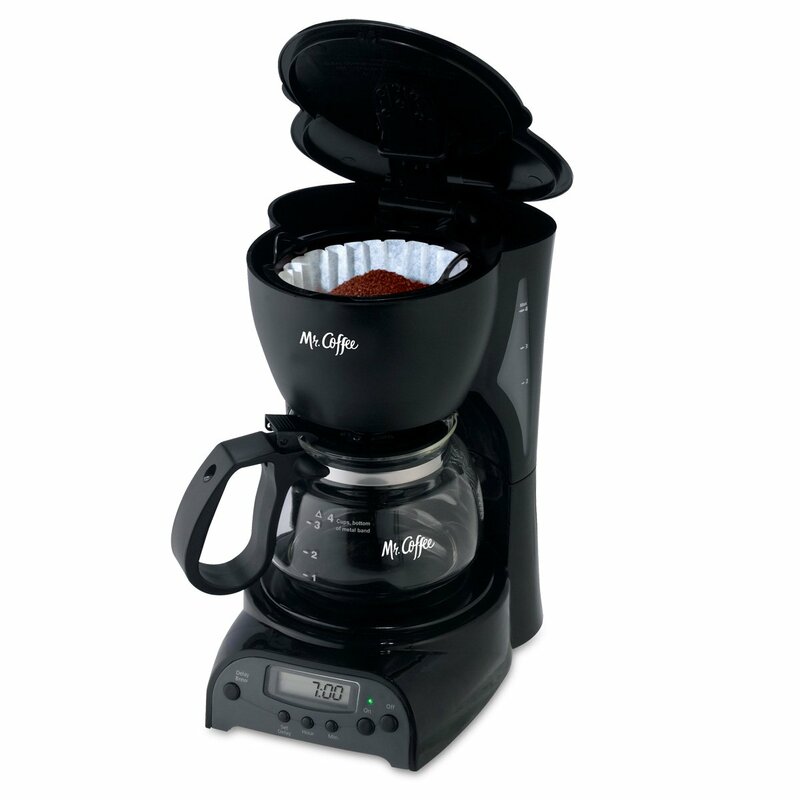 This coffee maker can really save you a lot of time since it can help you brew coffee in mere minutes! Though I personally don’t care much for a product’s color, it’s really nice to know that you have a lot of options to choose from. Aside from being able to craft a fine ﻿cup of coffee, you can also use this coffee maker to make tea and hot chocolate. One of the benefits that I liked the most about the K250 is that it’s very easy to clean. Its parts can be easily removed and can also be easily replaced. The Keurig K250 is one of Keurig’s most compactly design coffee makers. Because of so, it has easily become one of the most popular Keurig coffee makers in the market today. What most users liked about this model is how it can be very easy to maneuver. Its touch screen display comes with a completely beginner-friendly interface that pretty much any user can understand. Another thing that users loved about the K250 is its K-Carafe compatibility. Users have found this feature to be very relieving since they don’t need to put new cups in the coffee maker when making coffee for a large group. Users also loved how this coffee maker comes in an assortment of colors. Plenty of users highlighted how easy it was to add this coffee maker to their kitchens because of the highly adaptive range of colors. ​This is probably my favorite Keurig coffee maker. What’s great about this coffee machine is that it is very easy to set up. Out of the box, you can start using this coffee machine in mere seconds. After you have set it all up, and once you have filled the reservoir all the way through, you will be able to start making your own personalized coffee. The Keurig K250 is one compact coffee maker that you can surely rely on for perfectly brewed cups of coffee. Whatever your kitchen’s interior design is, I’m sure you can seamless add the K250 to your kitchen since it comes in an assortment of colors. You’d also surely appreciate how this coffee maker is completely compatible with the K-Carafe, a feature that you will find very handy in times of brewing numerous cups.